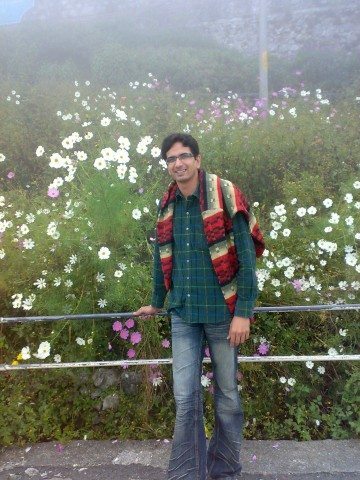 Mussorie - My best ever economical trip Day 2 - Ghumakkar - Inspiring travel experiences. We had started our day 2 at 0900 hrs. We had ordered tea from room service and got ready to explore Mussorie. 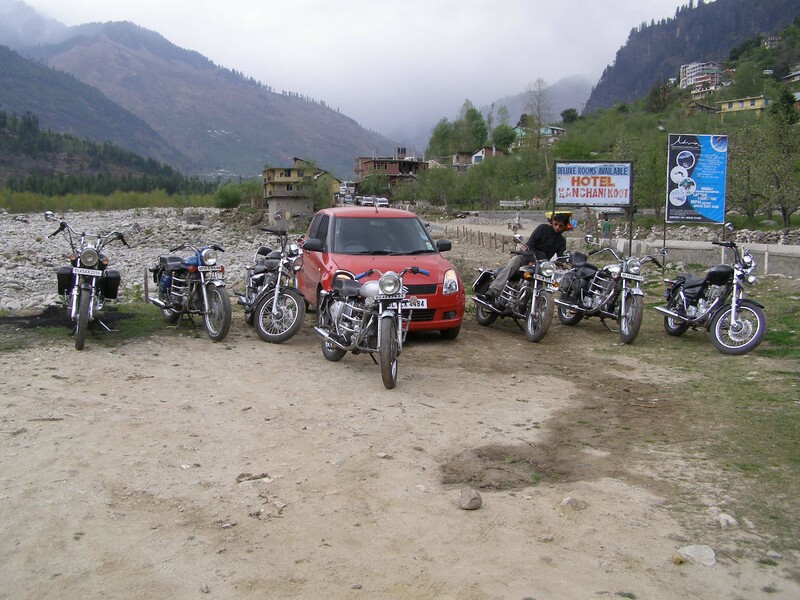 At around 1000 hrs we started from Hotel and reached at the Ropeway point to Gun hill which was very close to our Hotel. Ropeway for Gunhill operates between 1000 hrs to 1800 hrs. 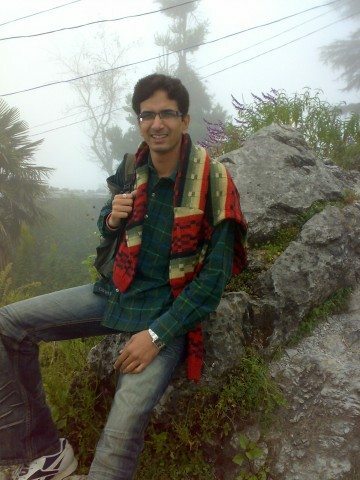 Gunhill is the second highest peak of Mussorie thus colder than other parts of Mussorie. There is a history behind the name of this place. It says during Britishers reign, the gun was fired every afternoon to inform time to the people from this place, hence named as Gun Hill. When we reached at Ropeway, it was heavily crowded with tourist as well as there were three buses full of college students came there for Picnic. 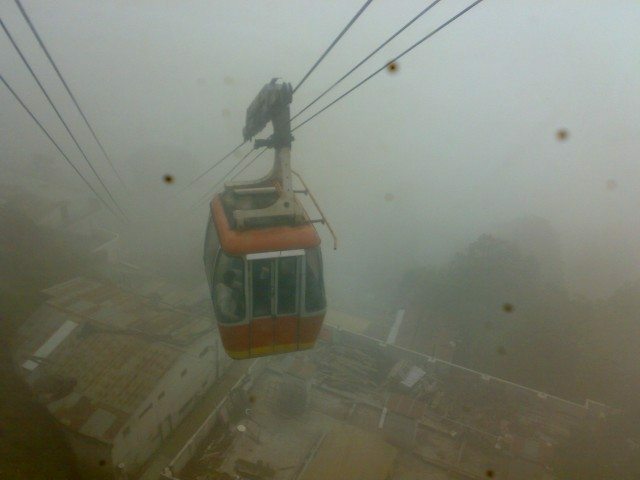 Somehow at 1100 hrs our turn came for ropeway. 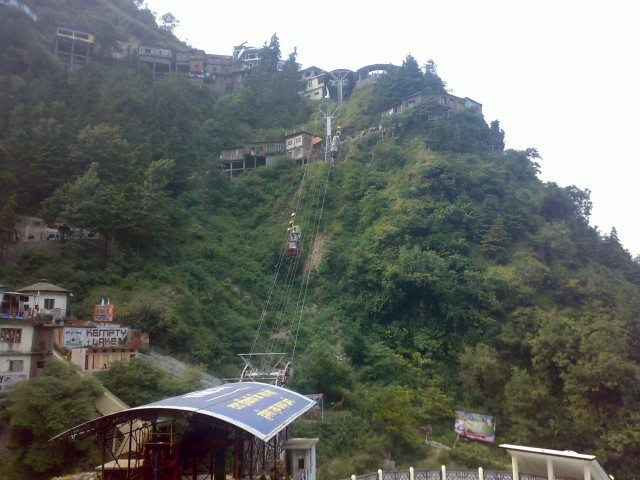 The ropeway distance is just 400m and it takes just 5 minutes to reach Gunhill by ropeway but the sheer thrill of the ride is memorable. 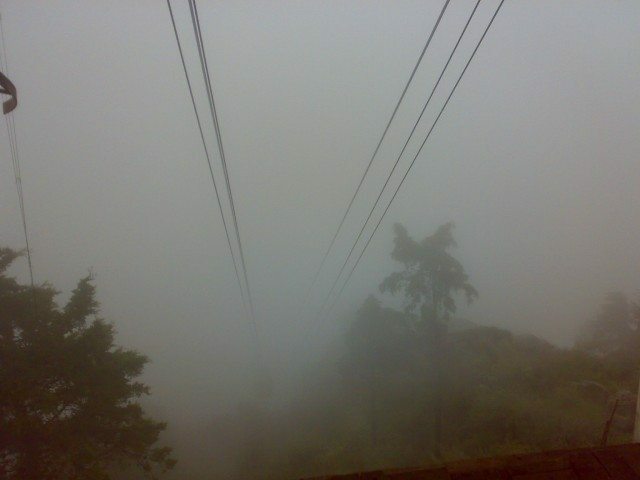 The ropeway experience itself is so wonderful and it gives telescopic view of entire Mussorie. The ropeway charges for a round trip was Rs 50/- or 75/- (Not remember exact price) per person. It is a beautiful place with an open area in the middle surrounded by lots of shops and restaurants. It also gives superb view of surrounding hills. As we were hungry since morning, we first had our breakfast at Gunhill. Our breakfast was Hot parathas served with butter. It tasted so good at such a high altitude with pleasant weather , wonderful view and with empty stomach. Then we just walk around to see the view for which the Gunhill is famous. Point itself was very beautiful with lovely flowers all over the hill. After spending about 45 minutes at the place we returned back. From Mall road we then took a cycle rickshaw to reach Kempty fall taxi stand. From this taxi stand one can get shared taxi to visit Kempty fall and Company Garden. It was a 3 hour journey with 01 hour at Kempty fall , 01 hour at Company Garden and 01 hour Travel time. 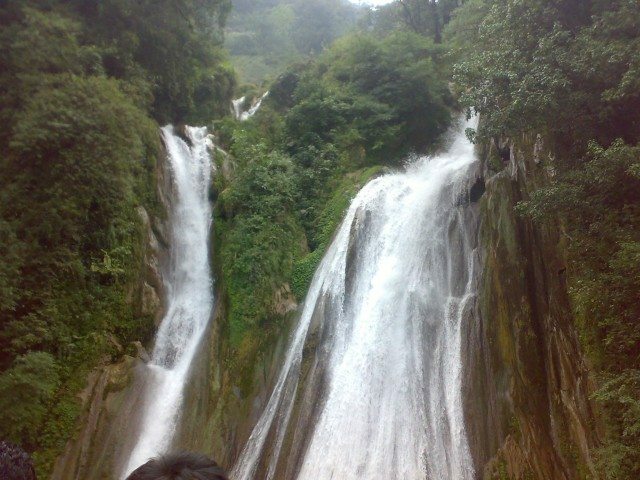 Kempty waterfall – The stunningly beautiful Kempty Falls is situated on the Hilly tracks of Uttarakhand. This place is located nearly 1364 Meter above the sea level . The Kempty Falls, surrounded by high mountain ranges and located at a high altitude of 4500 feet, is a good place for picnic or for spending a couple of hours listening to the music of water in the midst of the Greenery which cover the surroundings This waterfall attracts many tourists particularly from plain areas. 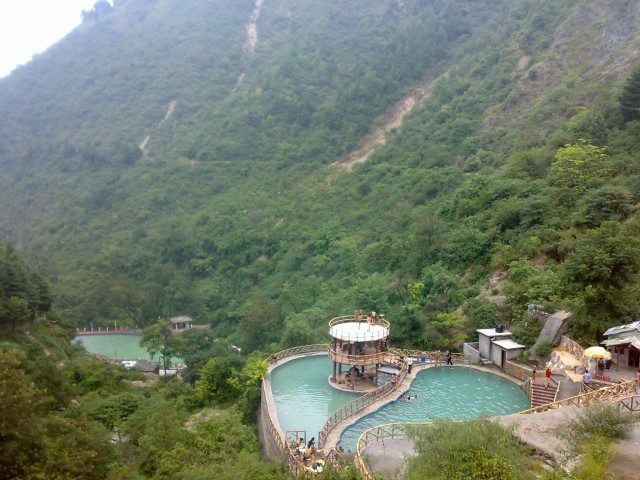 Located at a distance of 15 KM from Mussoorie town , it can be visited by conducted tour or by taking a shared taxi near Gandhi chowk taxi stand. We opted for shared taxi. After travelling for 20-25 minutes we reached at Kempty fall. There were many shops and vendors at Kempty fall selling eatables. The parking area is not very big but as we hired shared taxi it was not our headache to look for parking. It is a beautiful hilly area with waterfall on one side of road. 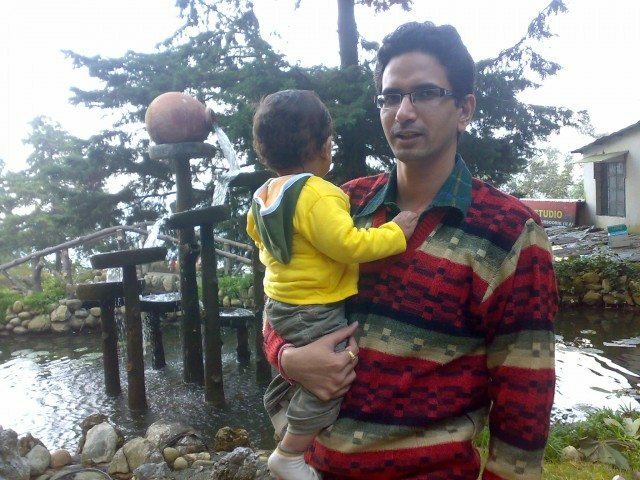 After walking on a small sloppy pathway we reached at Kempty fall ropeway. Although there are stairways to reach at the bottom of fall, we opted for ropeway only. After getting down from ropeway we had to again use some steps to reach to the foot of the waterfall. 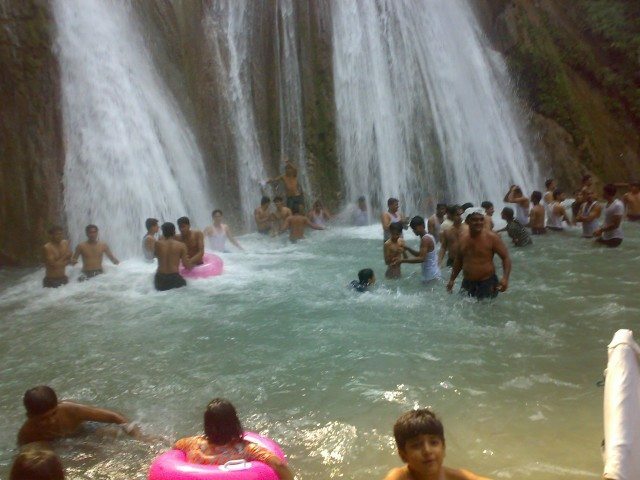 It was heavily crowded .The weather was cold , still people were not restricting themselves to remain out of waterfall. There were few shops at the bottom of the falls selling swimming costumes, float etc as well as renting swimming costumes and locker. It was all temporary structure with a temporary arrangement made for changing clothes as well. We took one locker for rent and a dress for rent. 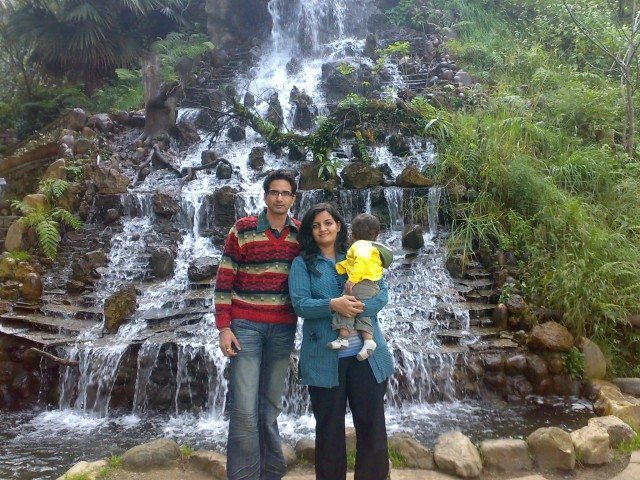 As my son was very small I husband entered the waterfall area, enjoyed there for 10 -15 minutes. Meanwhile I was clicking the photos. My husband then changed the clothes and we started walking around nearby areas. There was also one resort near to Kempty fall. We came back to the top of waterfall. Then driver took us to the next point i.e. Company Garden. Company Garden – Located at a distance of 3 kms from Library road, can be reached easily by foot or by rickshaw, the garden is a visual treat for the floral enthusiasts. We visited this Garden while coming from Kempty fall. For reaching company garden , first you have to walk for 5- 10 minutes. We were tired as we were wandering since morning; we found this walk more difficult. But after entering inside the garden , it was bit relaxing. There were two –three restaurants at this garden. We had our Lunch here. It is a beautiful garden with colorful flowers, nice scenery and an artificial waterfall. There are few children rides also in this garden where kids can enjoy. We spend around half an hour in this garden and returned back to our taxi. Total Rs 5450/- for a complete trip for two persons for two days . This can be further reduced if tickets would have booked in Jan Shatabdi general coach. This finishes my best ever economical or budget trip with lots and lots of good and beautiful memories. 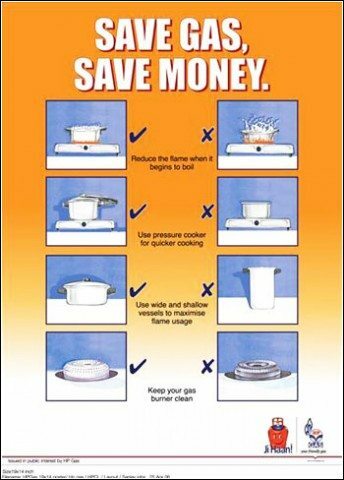 Greening tips for today is : Cover cooking pots and pans with a lid to prevent heat from evaporating. This will save cooking gas. Wow Man, that is an achievement. So economical without jeopardizing any luxury or convenience. Both thumbs up for this post. Really economical less then $100 for two days. Here we just dream for it. Will wait for your next post. Thanks a lot Surinder ji. Wow! This must be a FOG on ghumakkar; a detailed expenditure statement presented in tabular form. I feel that you would have made an excellent Chartered Accountant, Ms. Abhee. What makes this trip amazing is that you have not done any kanjoosi. You have traveled in AC coaches and taxis, stayed in a decent hotel, ate at decent restaurants too. If at all there is anything I wouldn’t have done, it is about ordering room service for tea. I would have gone to the local chaiwalla and would have enjoyed far better chai at less than half the cost ;-). I thoroughly approve of hiring porters since I do not consider it a luxury; it is their only source of livelihood and it is our duty to make sure they earn their daily bread. Looks like you had a lot of fun too. The pictures are really good. To share a photographic tip, when shooting waterfalls or even flowing water, shooting in aperture priority mode gives you a lot of options. At high speeds, the water looks frozen and the gives some really good results but not always. At slower speeds, the pictures sharper (due to smaller aperture) and the water looks smooth and less turbulent. It is advisable to shoot at both high speeds and low speeds and ten select what looks best. Thanks DL sir for all the appreciation. I know local chai would had tasted better. Also, Thanks for the photography tip. I have now Sony cyber shot.Does this camera also has this type of high speed and low speed features?Please guide. Hi Ms. Abhee. I hope that you have performed brilliantly in the DELF. Regarding your camera, it depends on the model. The mid-range and above cameras usually come with aperture and shutter priority exposure modes. If you see A and S on a dial on the top of the camera, chances are that your camera has it. Kindly let me know your model number. Thanks for your wishes.My DELF exam went very well. I have Sony Cyber Shot DSC-WX50 model. Agree with DL. The meticulous Abhee is clearly on the fore. Very methodically described. I heard that in summers the fall doesn’t have a lot of water. Mussorrie has a lot of by-lanes to discover as well. I am leaving a link of one of my favorite stories. And while putting the link, I just saw that it has more than 23K views. Wow. Gun hill is too commercialised . Thanks for providing such precise / focussed info (tabular form adds to it). The posts, as usual, are going to be so helpful to Ghumakkars planning a trip towards Mussorie. Kempty falls brought back our own memories of that place. Thanks for reviving Mussoories memories. This calls for a revisit. DL’s tip about shooting falling water is spot on. Engineer turning into an cost accountant! Nice post with lovely photos! It’s very difficult to remember all the expenses made in 2 days. It’s really very beneficial for everyone to plan his trip. Pictures are bright and excellent. Excellent details, Abhee and yes, I really was economical and yet, fully enjoyed trip of yours. Pics also tell a lot. 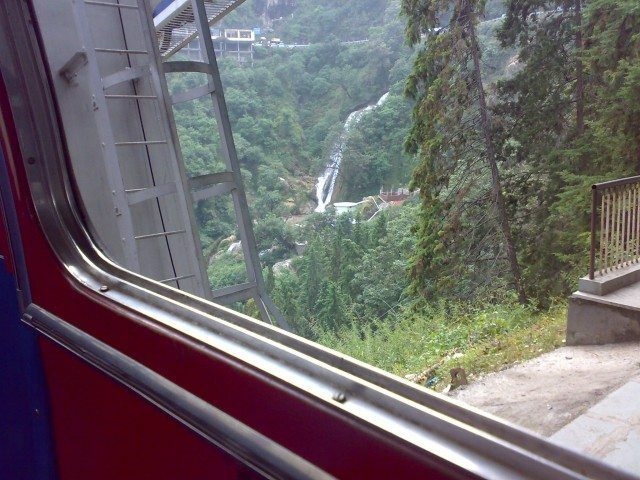 It is a news to me that there is now a ropeway to reach the bottom of Kempty Fall. When I had last visited in 2007, it was not there perhaps. Again, it is shocking to learn that there are so many shops now at Gun Hill ! You can even have lunch there! When I had been there, nothing more than 2 telescope wallas were there and the site looked immensely beautiful. It seems DEVELOPMENT now means having shops of potato chips, cold drinks, and tea etc. The photographers also are omnipresent thrusting their photo albums right under your nose! The places where we used to do for their natural charm, calm and serenity are now flooded with shops, garbage, litters, loud music and all that. It saddens me somehow! It seems we should be Praveen Wadhwa and head towards deep forests to find such things now. 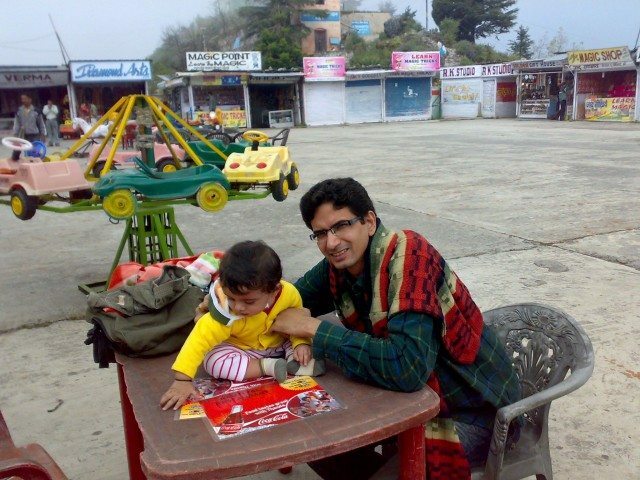 Thanks Sushant ji for liking the post and pictures. Ya, now there is a ropeway at Kempty fall. It is especially good for people who finds it difficult to come down and climb up.They can now enjoy this beauty in their own comfort. Ya, Things have changed a lot now. A very good, detailed, informative post Abhee. A very informative post. Liked all the pictures specially the picture of artificial water fall. dear bindas post. Mujhe apki post achi lagi. yr apne to fully pocket budget share kr diya. then time to time or day day total share all information for your personal. We regrouped at the tunnel, where every bike thumped like a thousand guns going off simultaneously.